To involve SHARE interns in community projects that help environmentally devastated areas. In January 2019 Share Interns worked again in collaboration with Common Ground Relief on several projects that focused on wetland restoration. In Bayou Sauvage Wildlife Refuge interns planted 120 Cyprus trees. Interns also worked to maintain the bio cell retention area in New Orleans City Park as well as rebuilding and maintenance in Common Ground Relief’s Nursery. In January of 2018, a group of SHARE's interns traveled to New Orleans to volunteer with the Common Guard Relief. We worked in CGR's nursery, planted 1400 grasses along the coast and transplanted 200 cypress and tupelo trees in a major spillway. Interns visit New Orleans to work with Common Ground Relief. Ten SHARE interns helped to pot and organize over 2000 plants in one day. Thousand of trees were planted to provide a safer environment for the poor. The interns also helped combat the invasive species, the Chinese Talo, in Big Branch Marshes. Interns joined Common Ground Relief of New Orleans once again to help with their wetlands restoration project. Ten volunteers helped park rangers of the Jean Lafitte National Preserve with an invasive wildlife control project. The volunteers also helped transplant over 1000 plants that will be used for erosion protection in the wetland area south of New Orleans. The SHARE Institute provided the opportunity for three interns to travel to New Orleans to help New Orleanians to continue on the long road to recovery from Hurricane Katrina. Interns participated in projects including restoration of the wetlands around New Orleans, demolition of ruined buildings, restoration of community homes and property, and replanting of trees destroyed by the Katrina disaster. The interns stayed in a guest home in the Lower Ninth Ward, and made many friends and memories. 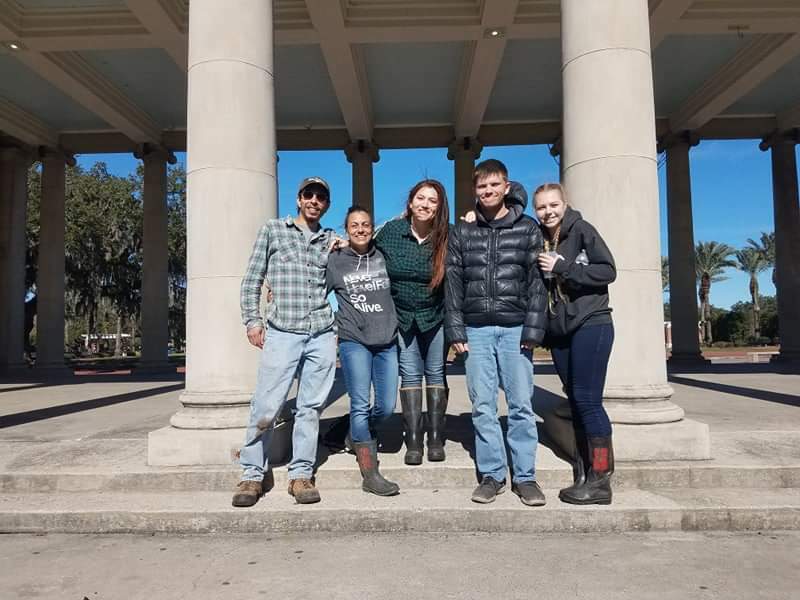 Another group of interns flew to New Orleans during the winter break to assist in renovation and rebuilding efforts after Hurricane Katrina. 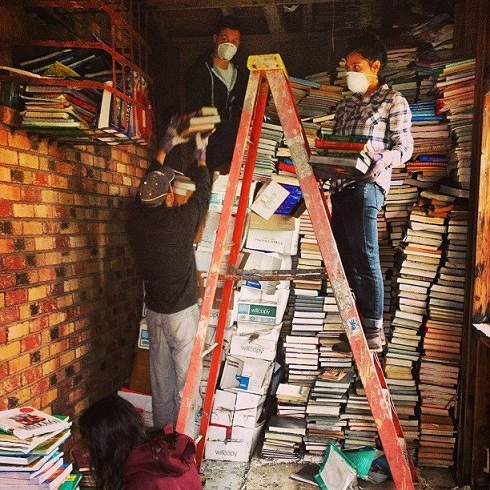 The group worked together to clean the books and other debris from a destroyed church. They also helped to replant devastated wetlands which will help to control future flooding and restore the region's plant and animal life. A group of six interns visited Common Ground Relief in New Orleans and worked on the Wetland Restoration Project to help minimize the effect of future flooding. They also contributed to the home rebuilding efforts that have been ongoing since Hurricane Katrina. In January 2011, SHARE partnered with Common Ground Relief, a non-profit that provides relief for victims of hurricane Katrina in New Orleans. Seven volunteers from the SHARE Institute traveled to New Orleans, Louisiana to aid in reconstruction efforts. One of the projects that volunteers assisted in was the gutting of a house that suffered extreme flood and fire damage. The volunteers stayed in homes that were built through the efforts of Common Ground Relief. The interns also participated in the Wetland Restoration Project, which seeks to lessen the impact of future flooding. This was the second intern trip to New Orleans organized by The SHARE Institute in partnership with Common Ground Relief. After their return, the SHARE Interns shared that they had a wonderful experience, and many wish to return to continue their work. Interested in participating in the New Orleans Internship? Visit our New Orleans Internship Program Page for more details!